Following the signature of the so-called “treaty on alliance and strategic partnership" between the Russian Federation and Russian occupation regime in Sokhumi, the Russian Federation signed the so-called "treaty on alliance and integration” with its occupation regime in Tskhinvali on 18 March 2015. This action from the Russian Federation blatantly contradicts the international law and undermines the fundamental principles of the UN Charter and the Helsinki Final Act, such as the sovereign equality of states, inviolability of borders, territorial integrity and fulfillment of obligations in good faith under the international law. 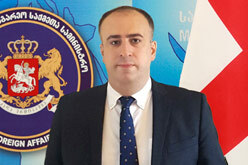 The Ministry of Foreign Affairs condemns the signing of the so-called “treaty”, which is directed against Georgia's sovereignty and territorial integrity and, similarly to the Abkhazia region, constitutes the factual annexation of the occupied Tskhinvali region. The document provides for full integration of Tskhinvali region into social, economic, administrative and - importantly - military and security institutions of Russia. The so-called "treaty" is in a flagrant violation of Russia’s commitments under the Ceasefire Agreement of 2008. The signing and subsequent implementation of the document will further aggravate the situation of the population residing in the occupied regions and will have grave security implications in Georgia and the wider region. This is of particular concern given the absence of international monitoring mechanisms inside the occupied territories and Russia’s persistent refusal to undertake the non-use of force commitment. It should be stressed that such acts of the Russian Federation is a continuation of the process of aggression carried out against Georgia since the early 90s and occupation of Georgia’s territories following the August 2008 Georgia-Russia War. Russia’s policy vis-à-vis Georgia, coupled with the alarming developments in the region illustrates that Moscow does not accept the independent choice of sovereign states and strives for the restoration of zones of influence in the region, including through the use of force, occupation, annexation and other aggressive acts. The Ministry of Foreign Affairs calls on the international community to give due legal and political assessment to Russia's illegal acts and undertake effective measures to prevent the Russian policy, including by establishing international security arrangements on the ground. The strong and unanimous support of the international community will be vital for maintaining security and stability in the region.